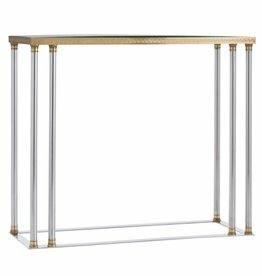 The Ava Console Table, by Interlude Home, is a clear console table. 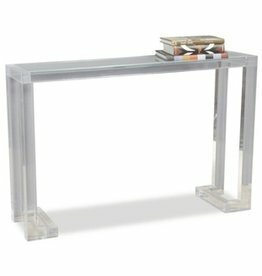 This glass and clear acrylic console table is perfect for city living as it is a slim console table. 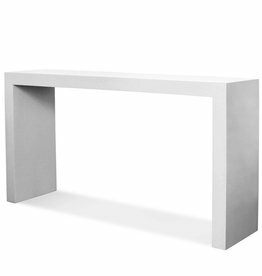 Dimensions: 36"h x 30" x 9"
This ultra-minimal piece lets our signature 12-layer lacquer finish speaks for itself. 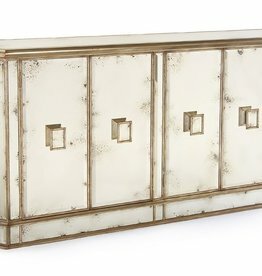 Great as a foyer table or behind a sofa, our Lacquer Console is pared down elegance at its finest. 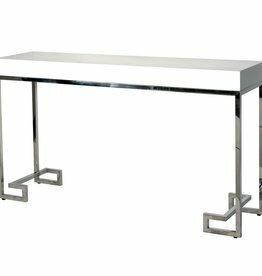 30"H X 54"W X 18.5"D Mirrored Vanity Table. 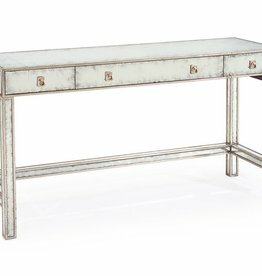 Eglomise mirrored panel vanity table, finished in antique silver with three drawers. The right hand drawer has an electrical outlet for convenience. 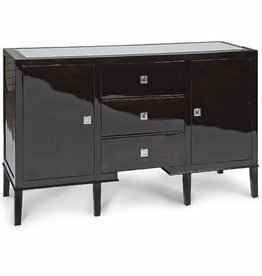 42"H X 74"W X 18"D Juno Foxed Mirror 4 Door Credenza. 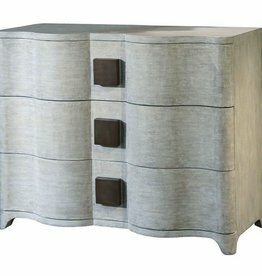 Beveled edged foxed mirror panels cover this four door cabinet finished in Parisian silver. The oblong handles also have a beveled edged foxed mirror to their centers. 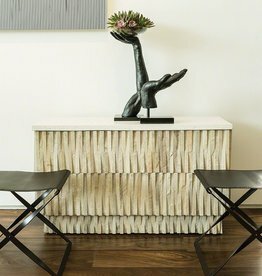 Stone from the desert of Rajasthan is hand chiseled and sculpted by artisans to create this sculptural table. 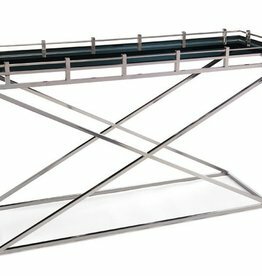 The table has a removable terrazzo top and four adjustable nylon glides on the base. 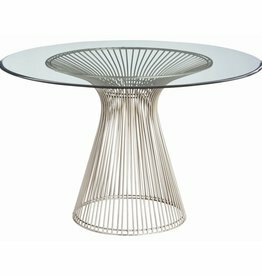 The table can be used indoors or outdoors. 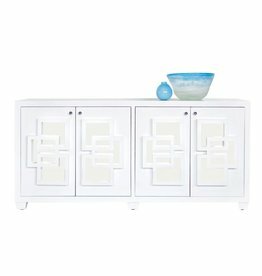 4-door media console in white lacquer with inset mirror doors, adjustable interior shelf and drill outs in back.